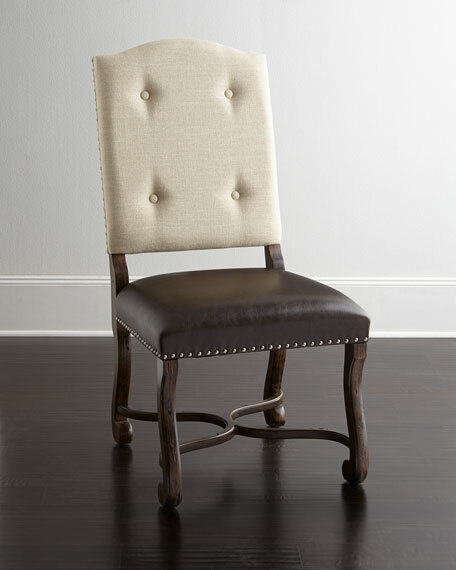 Camelback side chair with nailhead trim and button-tufted back. Frame made of spruce solids and pine veneers. 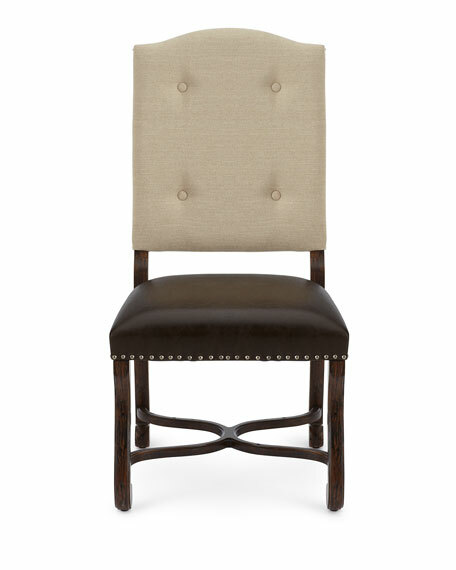 Bonded leather seating; linen/cotton button-tufted back. 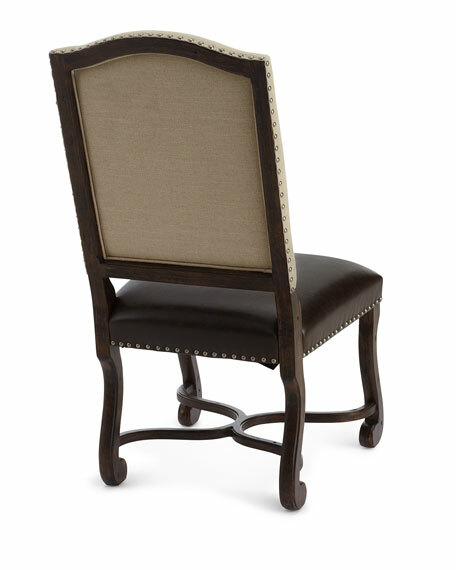 Sold in pairs; each, 22"W x 25.5"D x 42.75"T. Seat, 22"W x 20.75"D x 19"T.
Boxed weight, approximately 57.2 lbs.